The 2016 U-15, U-18 and Women's Baseball World Cups will go to key markets. LAUSANNE, Switzerland – The world governing body for baseball and softball, the World Baseball Softball Confederation (WBSC), has announced today that the hosting rights of the three Baseball World Cups (U-15, U-21 and Women’s) to be staged in 2016 have been awarded and will go to Japan, Mexico and South Korea. The III U-15 Baseball World Cup will be celebrated in Japan, where twelve countries will unite for the youth international baseball showpiece. With the acquisition of the rights to host the U-15 Baseball World Cup in 2016, Japan is set to host baseball world championships in three successive years, following the ENEOS Presents VI Women's Baseball World Cup this September in Miyazaki and the 2015 U-18 Baseball World Cup, which will take place at historic Koshien Stadium in Nishinomiya, Hyogo. The II U-21 Baseball World Cup will be celebrated in Sinaloa, Mexico – where the highly-attended II U-15 Baseball World Cup just recently concluded, with world No. 3 Cuba crowned U-15 world champions by defeating top-ranked USA in the gold medal finale in Mazatlán. The first-ever U-21 Baseball World Cup will be held in Taichung, Taiwan this year from 7-16 November. The 2016 Women’s Baseball World Cup will head to South Korea, where the women’s competition will be boosted from eight this year in Miyazaki to twelve participating countries in 2016. The expansion of the women’s baseball platform aligns with the objectives of WBSC’s leadership to promote gender-equality and to provide more opportunities for girls and women to be empowered through sports that women like to play, like baseball-softball. 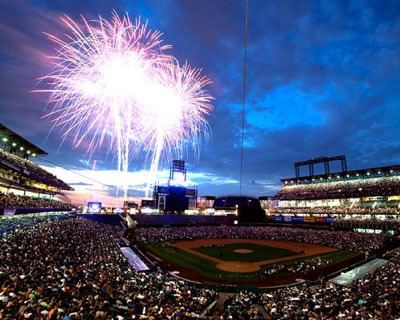 Since 2009, the baseball and softball world championships, or stages thereof, have been held in 20 countries across Africa, Asia, Europe, Oceania and North-, South- and Central America, and include Argentina, Canada, Chinese Taipei, Croatia, Czech Republic, Germany, Italy, Japan, Mexico, Netherlands, New Zealand, Panama, Puerto Rico, San Marino, South Africa, South Korea, Spain, Sweden, United States and Venezuela.